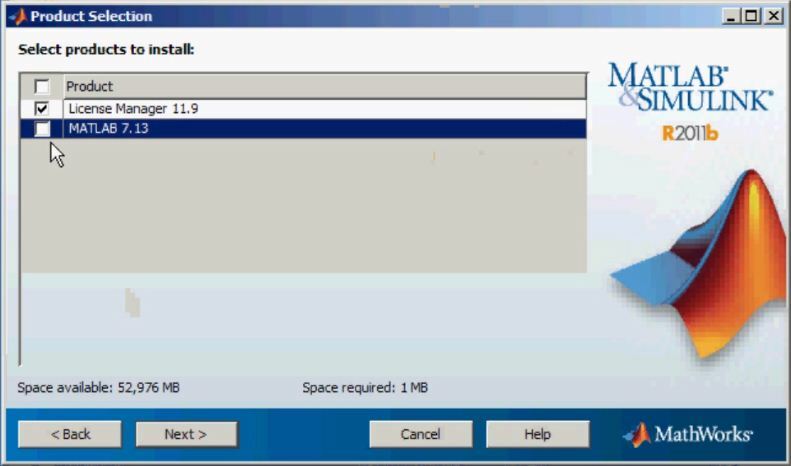 This tutorial shows how to install MATLAB and configure a MATLAB floating network license manager. This is set on a server which already holds an Autodesk license manager. 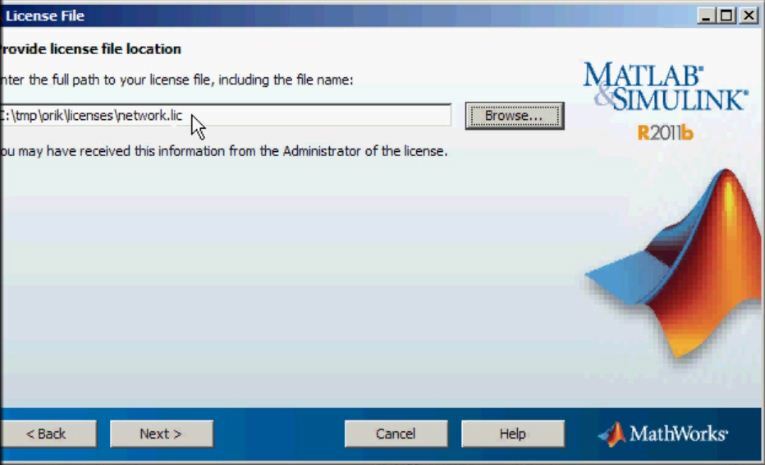 In its network licensing installation package, Mathworks supplies an installation disk, and some adjoined information via email. 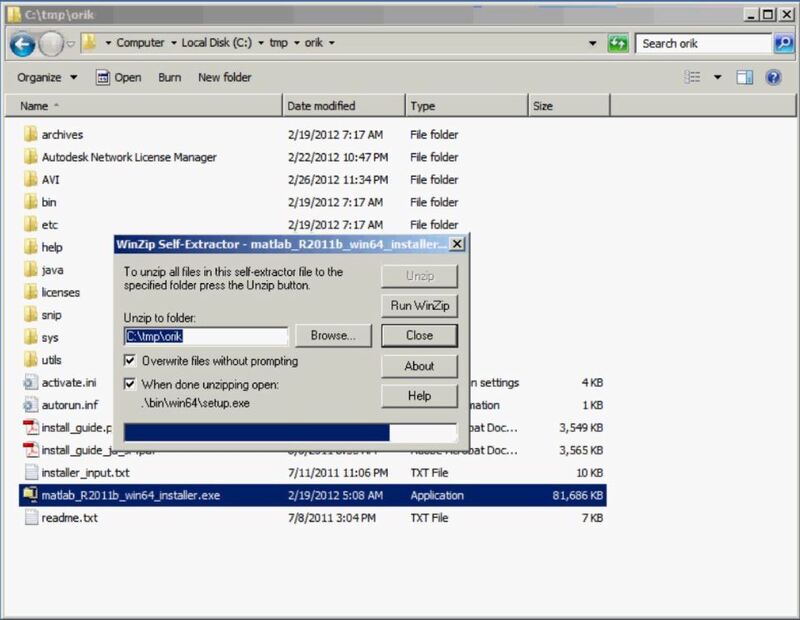 Copy the content of the installation disk into a new directory, e.g. : C:\tmp. Double-click the matlab_R2011b_win32_installer executable file. It would automatically uzip and run the Mathworks installer. Double click the matlab_R2011b_win32_installer.exe installation file. Since you already have a license file and an installation key, you may choose to install without using the Internet. Go with the default installation path, and provide a path to the license file. This license file is supplied by Mathworks. The original file does not contain the Server and Vendor lines. Add these lines manually. 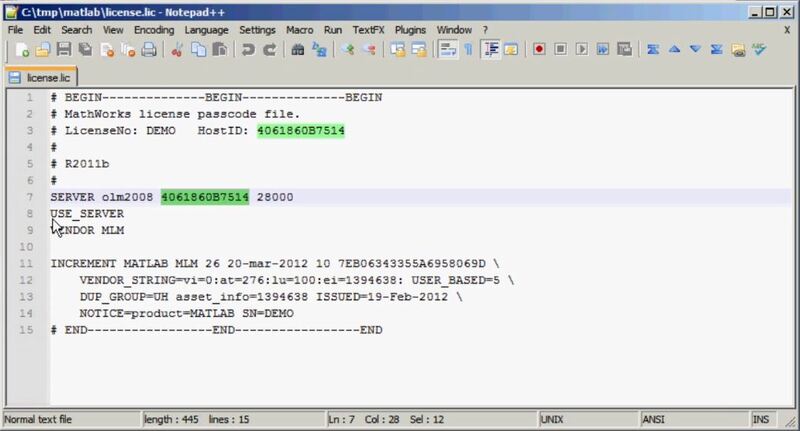 Note the HostID which is the MAC address of the License server machine. This number was already present in the license file . 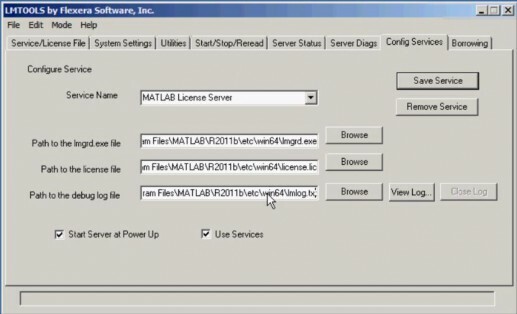 Setup the MATLAB license manager. Double-click the matlab_R2011b_win32_installer.exe file again, and choose to install without using the Internet. Type in the license key, and select a custom installation. Select the license Manager installation. 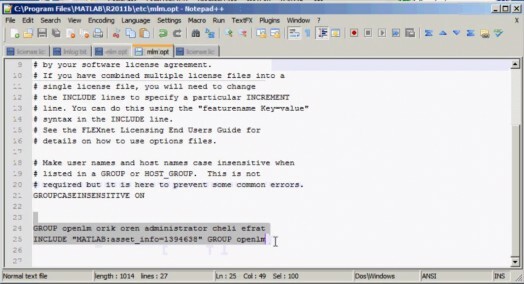 Type in the full path of the license file. 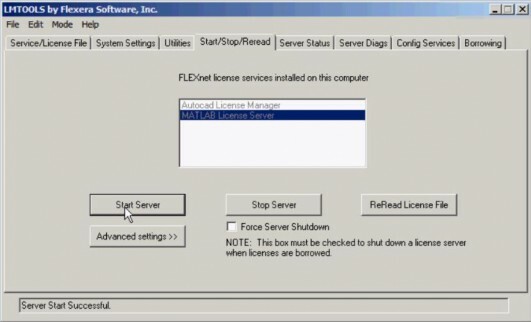 Make sure this license file contains the Server and Vendor lines. 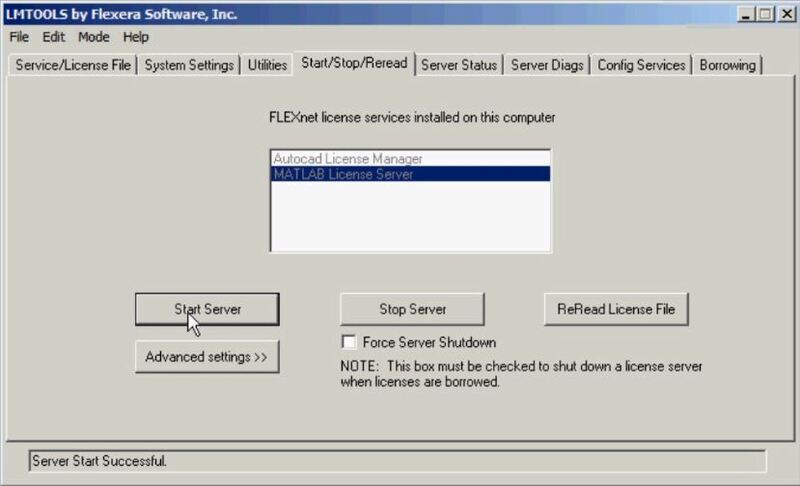 Click Next, and select the license manager to run as a service. Click install to run the installation. After installing the MATLAB license manager, a notification window pops. 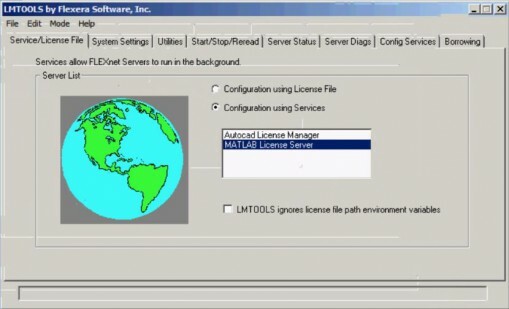 It requires the user to configure the lmtools utility. The lmtools utility is under the Matlab installation directory, under etc\win64. 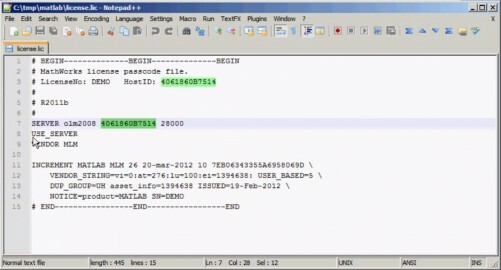 Other impotant files are also located here, such as the license file, and the lmutil and lmgrd executables. These could also be downloaded from Flexera’s download site. 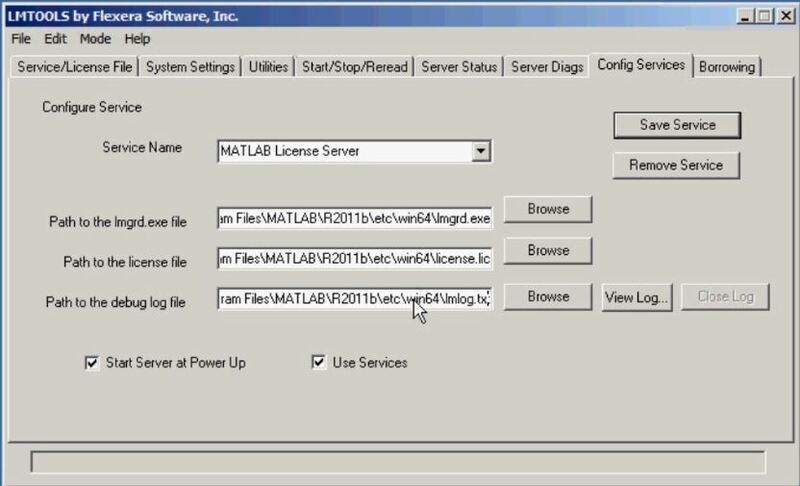 Click the lmtools utility, and you can see the MATLAB license server is already installed there, adjacent to AutoCAD. 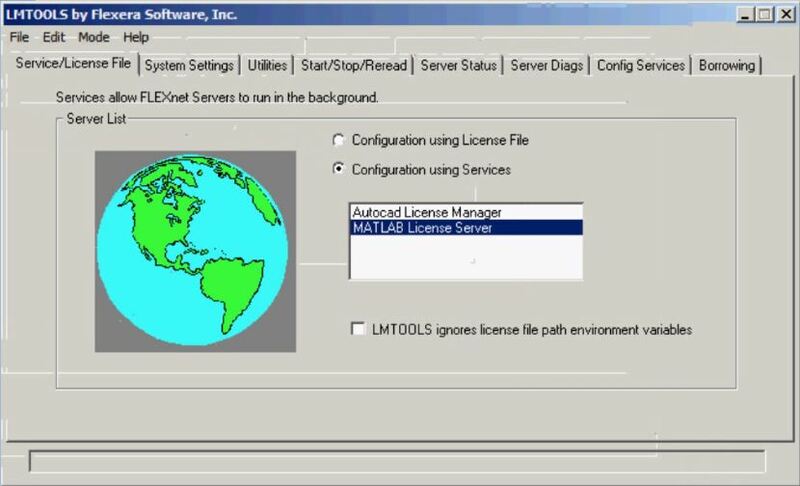 On the Config services Tab, you would find paths to the license manager executable, the license file and the lmlog.txt file. These files are located under the win64 directory. This file is located under the win64 directory as well. For some odd reason it is also located in the directory above that, in etc\. The one under etc\ is is the one that counts. Make sure that it contains the GROUP line and the asset info INCLUDE lines, as depicted here. 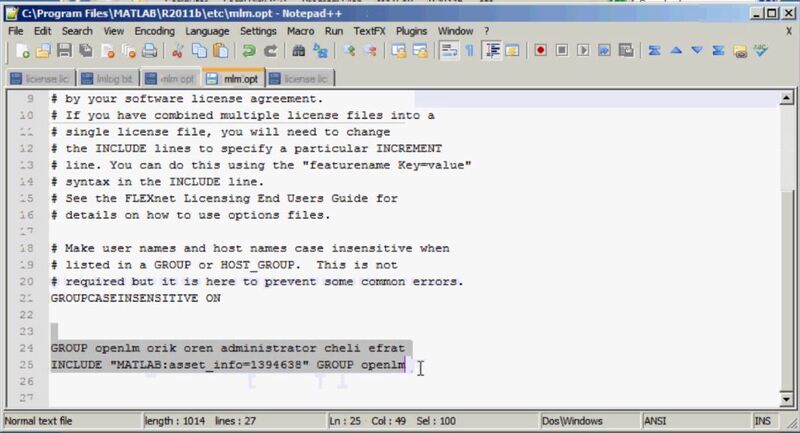 The GROUP line should contain the group of users who are permitted to draw MATLAB licenses from the license pool. The asset info number is given in the license file (see above). Click the Start/Stop/reread tab, and restart the Matlab service. That’s it: The MATLAB application and license manager are installed and are ready for use.